The recent launch of the annual Step Up 4 Good 10K with family fun runs, in Newbury, has been met with great interest. The fourth year of the event takes the event from the dramatic terrain of Greenham Common to the state-of-the-art Newbury Racecourse. 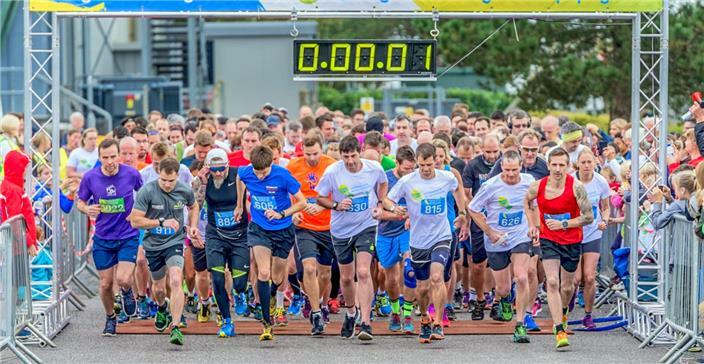 The main 10K race is a single loop on road and track, suitable for experienced club athletes and new runners looking for a flat, scenic and friendly race. This autumn event caters for all abilities and the Newbury Runners pacing team will be in action again to help you reach your PB target time on this diverse and varied route. The indoor event village will be filled with a wonderful community buzz and packed full of local charities, delicious food, refreshments, music, bag drop, bar and children’s entertainment. Located at the iconic Newbury Racecourse, this is an exciting family event that allows you time to run with the children and then run your own race before finishing the day browsing the various stalls and food outlets within the stunning grandstand building. To help you to train for this event, visit the Training and Advice section of our website.